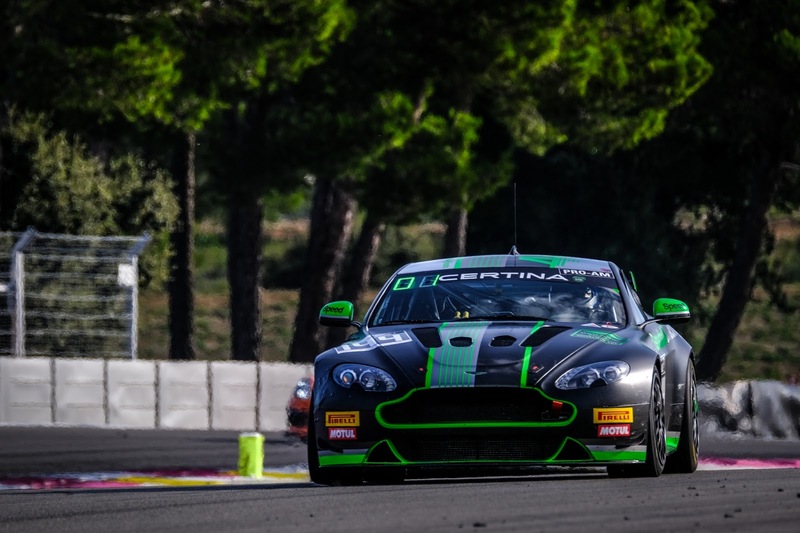 Its been a good start to the racing weekend for Aston Martin Racing, its affiliates and customer teams around the world as all get ready for the start of their respective races tomorrow and Sunday. 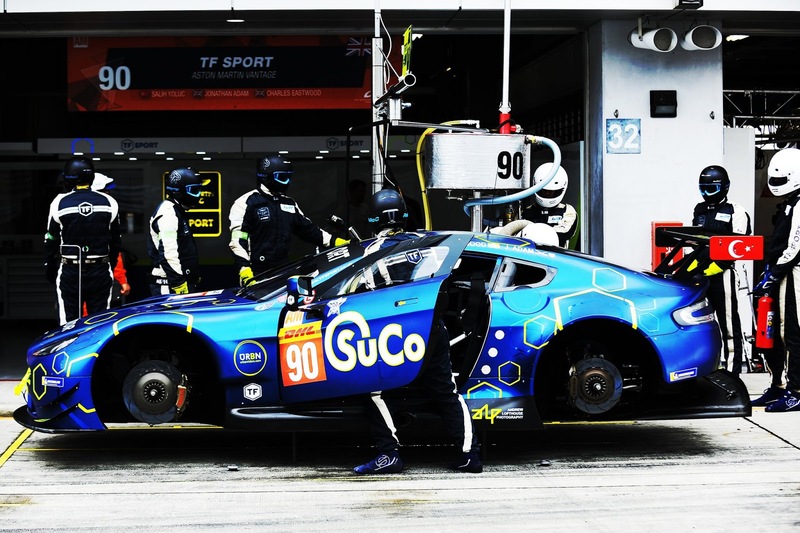 Starting at the top, the World Endurance Championship reconvenes at Fuji International, Japan this weekend for what is the fourth round of their transitional Super-Season with the factory team looking to build upon the success and promises that were delivered last time out at Silverstone in August. Keeping their drivers actively engaged with their customer teams around Europe looks to have paid off in the early sessions with the #95 GTE Pro car of Marco Sorensen and Nicki Thiim heading the timing screen at the end of Free Practice 2 today. 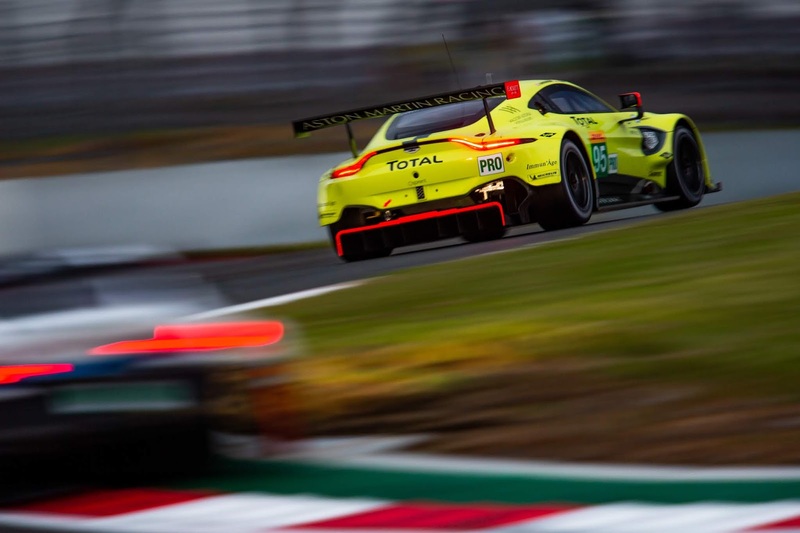 With the ten cars in GTE Pro being split by less than 1 second proves just how tight and competitive the class has become and how every milli-second counts. In GTE Am, the two entries from AMR and TF Sport are going through their normal progressive process and headed the earlier FP1 session before dropping down to being bottom at the end of table after todays track action . All were hampered by what seemed to be persistent caution periods and indeed red flags for various incidents on track today but the Dempsey Proton Porsches again appear quick but we have learned from previous rounds that that is not always what it appears to be. Tomorrow shall see the final Free Practice session ahead of the Qualifying later in the afternoon. 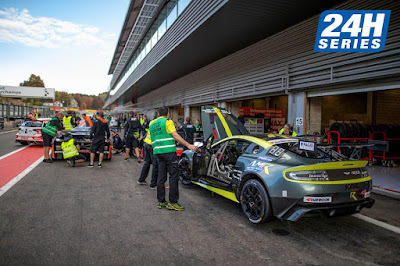 The AMR Performance Centre entered Vantage GT8 with drivers Andy Palmer, Peter Cate and Chris Hoy qualified P13 in the TCE grid, third in the SP3 class for the start of tomorrows 24H Series twelve hour race around Spa Francorchamps. Despite this appears to be the Aston Martin's CEO first racing experience of the iconic track the trio were fastest in class for all of the other sessions on track today. The race begins at 09:50 tomorrow. A bit further south at the Paul Ricard circuit in southern France, Matt George and James Holder stuck their #144 Generation AMR SuperRacing V8 Vantage GT4 at the top of the timing screen by the end of todays first Free Practice and then backed that up with a P5 by the end of FP2 this afternoon. Not involved in the outstanding Championship battles, the duo are clearly enjoying themselves as they wind up their European season before looking forward to another winter campaign. Qualifying and the weekends first race take place tomorrow with the final race of the year on Sunday. GT Cup concludes its 2018 season at Silverstone at the weekend with GTH Class Champions Adam Hatfield and Chris Murphy looking to extend that to include the overall championship win as well. Whitebridge AMR will be busy though having entered three V8 Vantage GT4's for both Hatfield/Murphy as well as one each for James Murphy and a returning Barry McMahon. 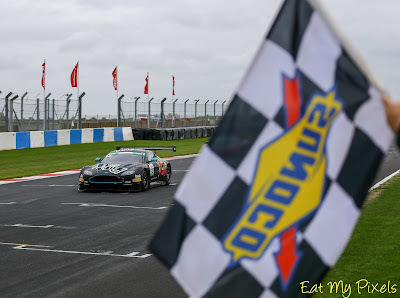 Nigel Hudson will be the sole V12 Vantage GT3 representative at the meeting and will again race solo after his very up and down return to the Championship at Donington last month.